I have the pleasure of testing for Tami at Love Notions. She was one of those designers I kinda liked before I started testing for her but my adoration has grown as I’ve followed her through the testing process multiple times. The stars aligned (sick kids and a lazy day) and this dress was born. 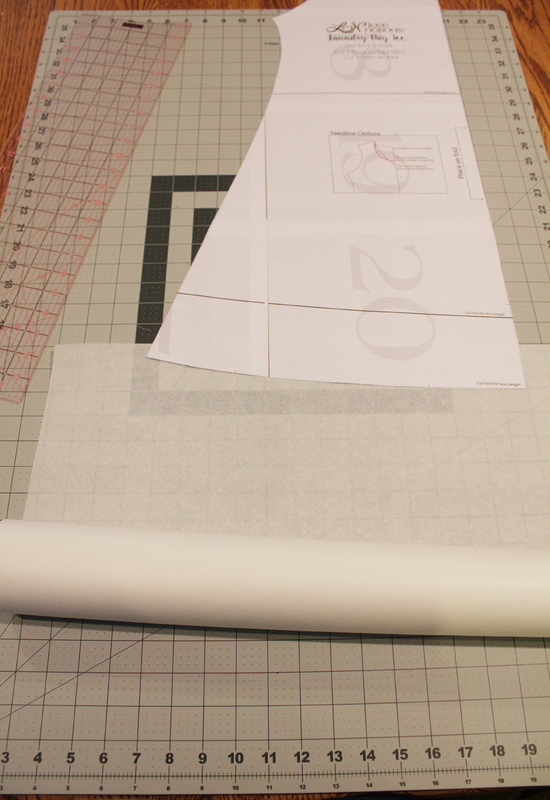 I grabbed my main pattern piece, tracing paper, a ruler, a pen, scissors, and a glue stick or tape. 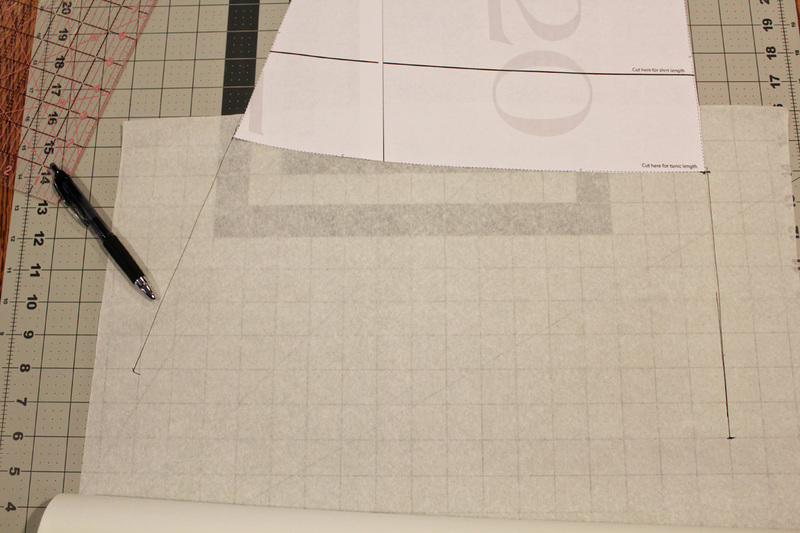 Next, glue (or tape) your pattern piece to your tracing paper. This helps to keep it in place from the get go. 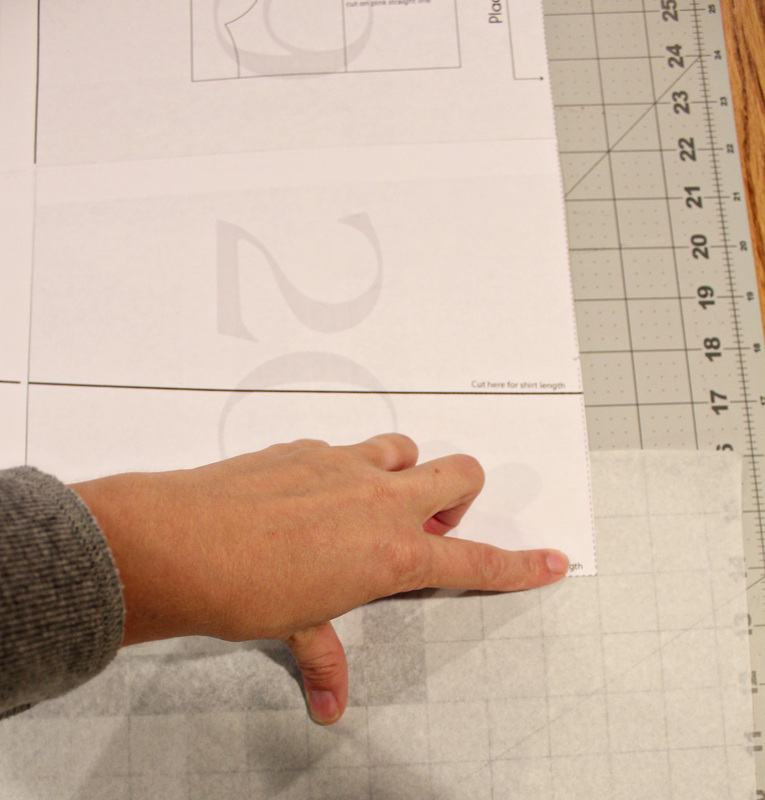 I started by lengthening the center fold line first. 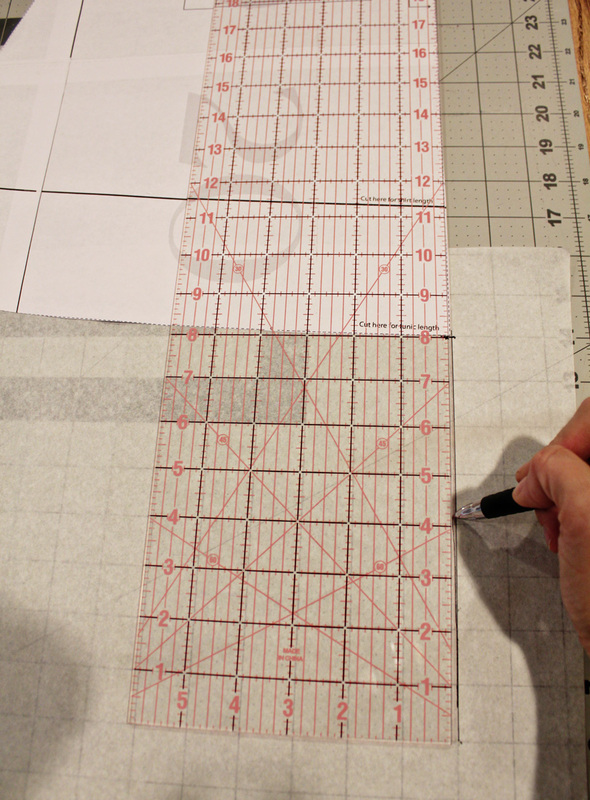 I lined my ruler up the length to the fold line and measured down 8 inches and drew a line. 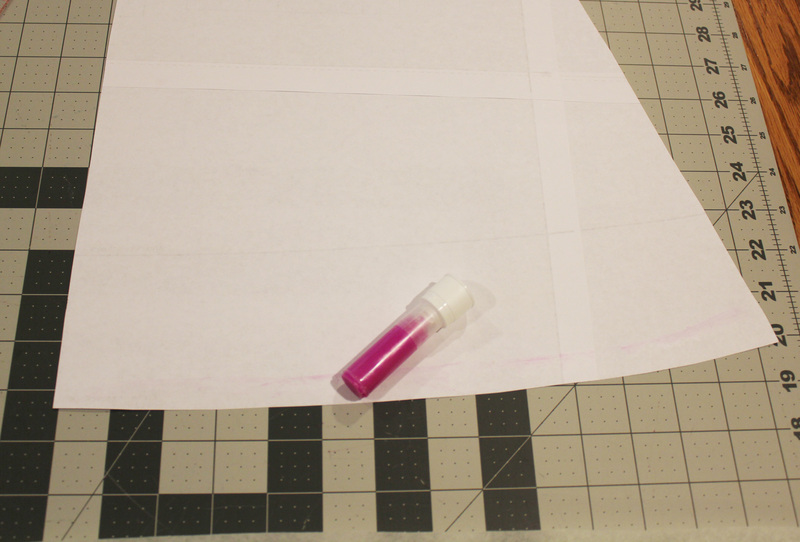 To lengthen the flared side, I lined my ruler up the length of the dress and marked 8 inches from the bottom. Draw a line. You should have two lines like this. Now the tricky part is connecting them. I just did the best I could at recreating the curve of the original piece. 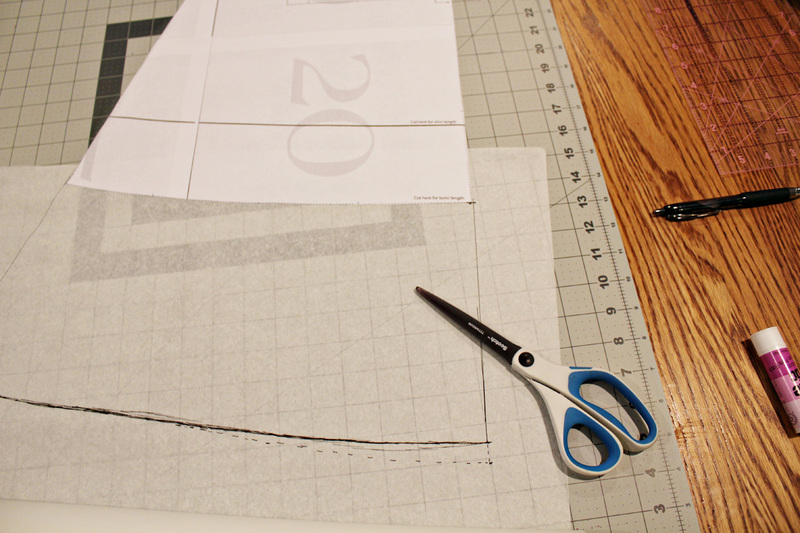 I am adding in a suggestion here that I didn’t do on my first dress. 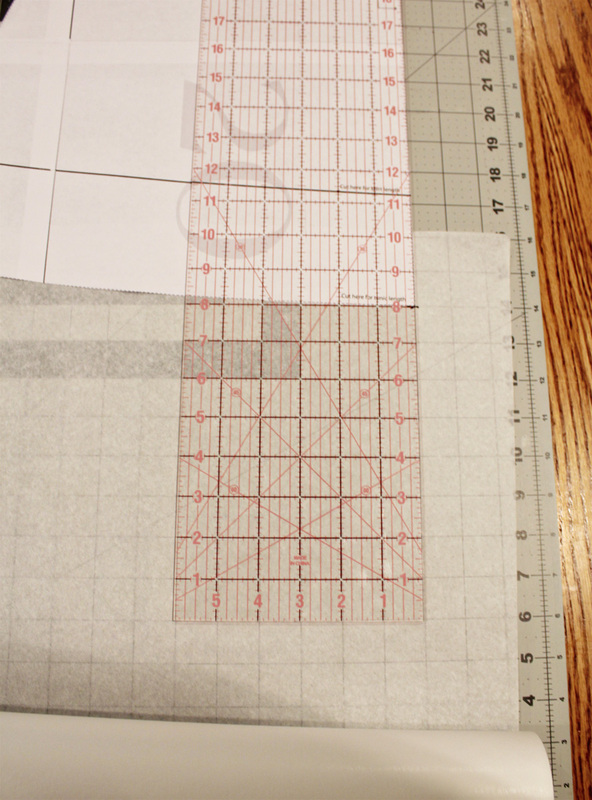 I will add an extra 1/2 inch to the front of my dress to take into account my bust. 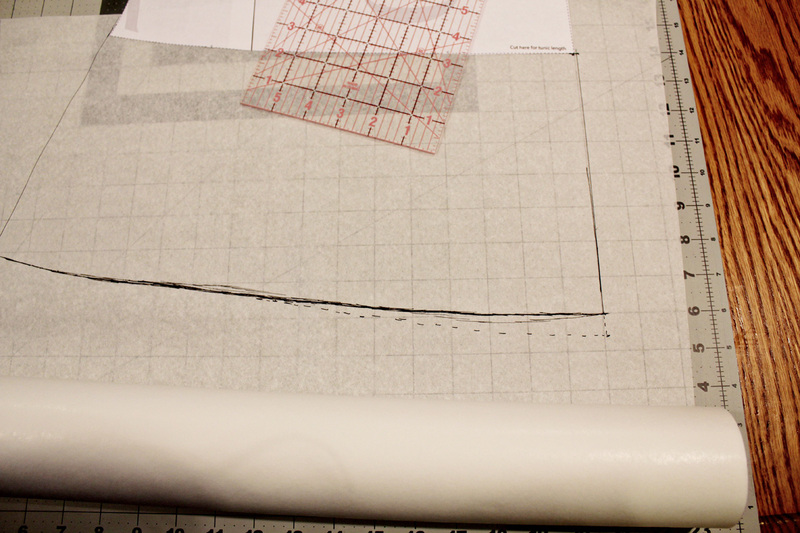 I noticed on my dress that the front hem was a tad shorter because of the extra, uh-um, fullness in front. 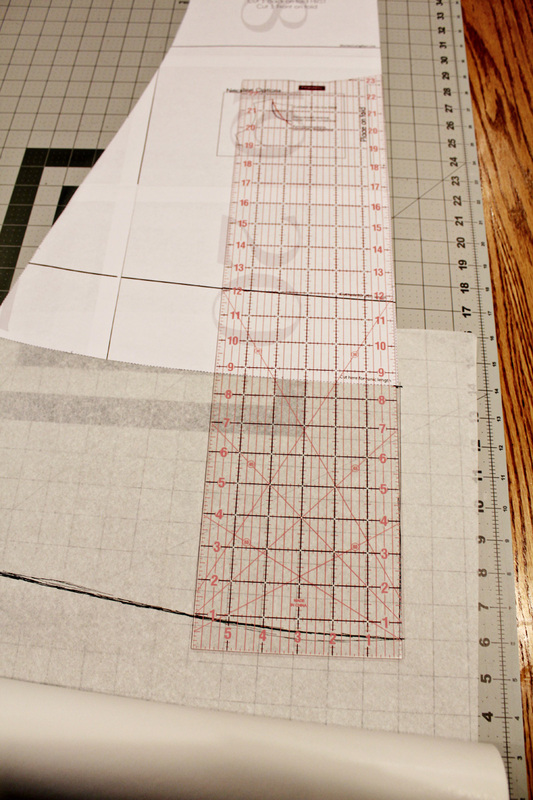 If you are more well endowed than me you may want to play with how much extra length is needed in front. 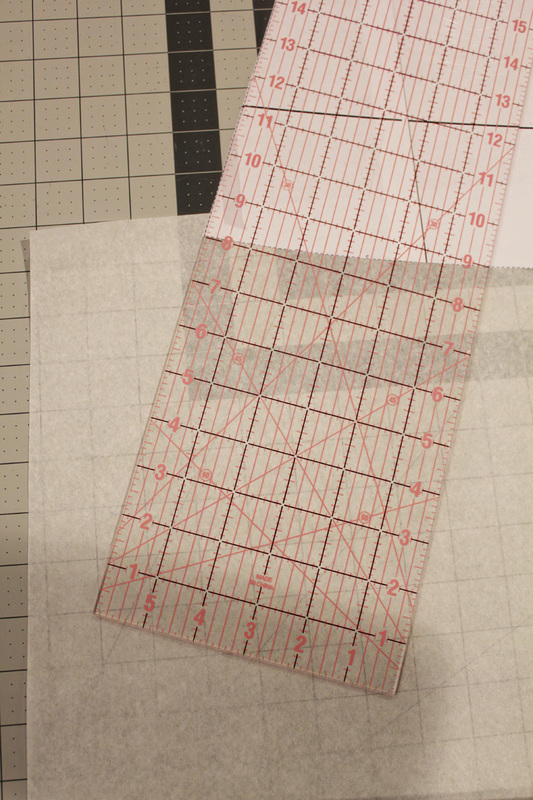 I used a dotted line to make my front markings. Your final piece should look something like this. 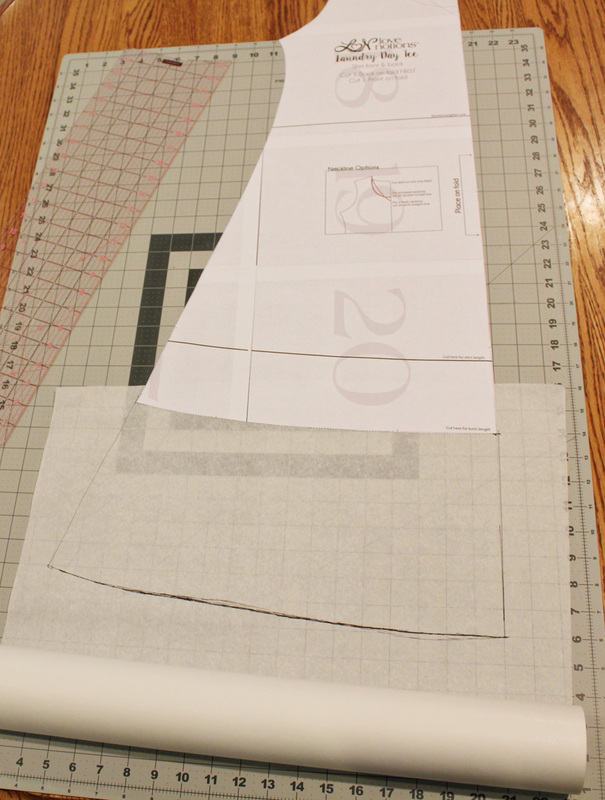 The construction of the dress is exactly like you would do the shirt or tunic. 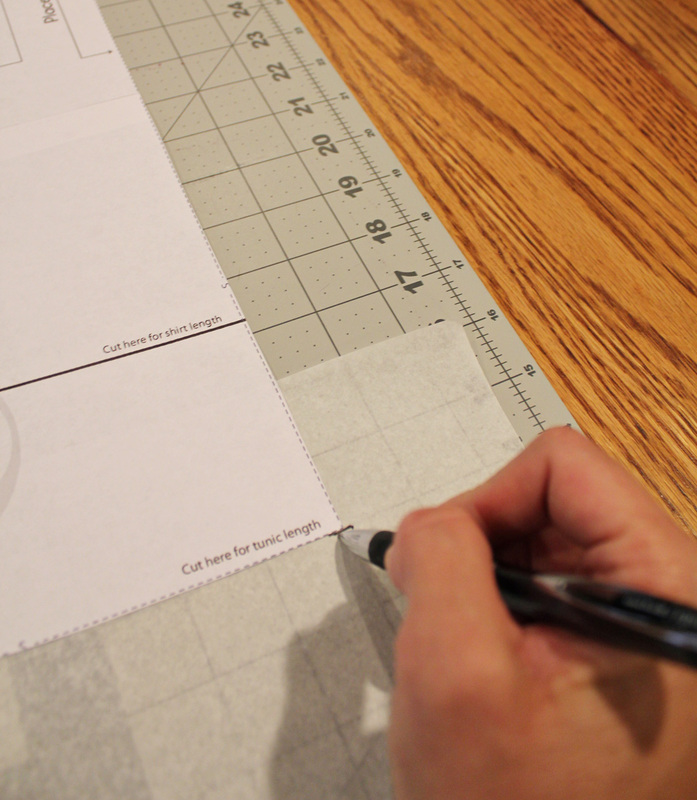 Such a quick, easy hack for such a fun, versatile pattern. I can’t wait to make a closetful. How perfect would these be come Spring too, with sandals and sunshine? Can you tell I’m already dreaming of warmer, sunny days?!! I hope this helps and feel free to message me with any questions. Make sure you share your dresses in the FB group or on Instagram and hashtag #laundrydaytee. I am a new affiliate for Love Notions. I decided to join the program since I love the patterns so much that I can’t help spreading the word. 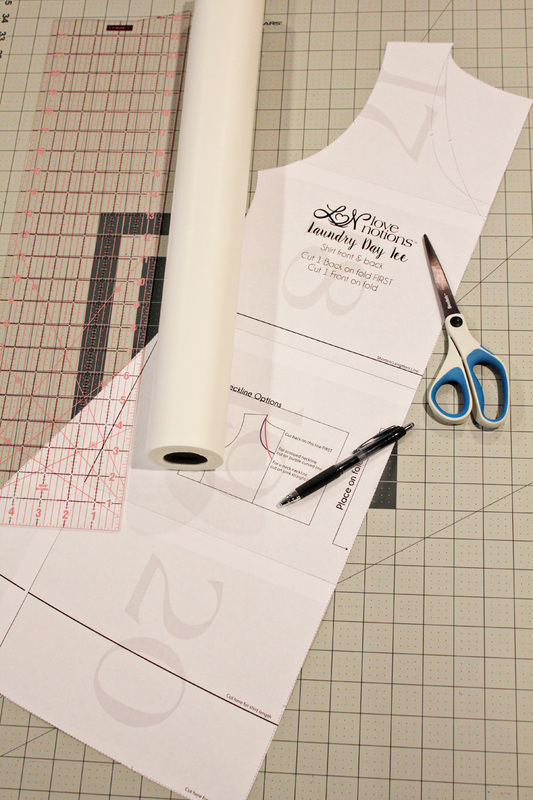 You can check out her patterns here and make sure to check back on Friday for the release of her newest skirt pattern. You won’t want to miss it! I LOVE this dress! I’m about to buy some fabric to make my on Laundry Day Dress. 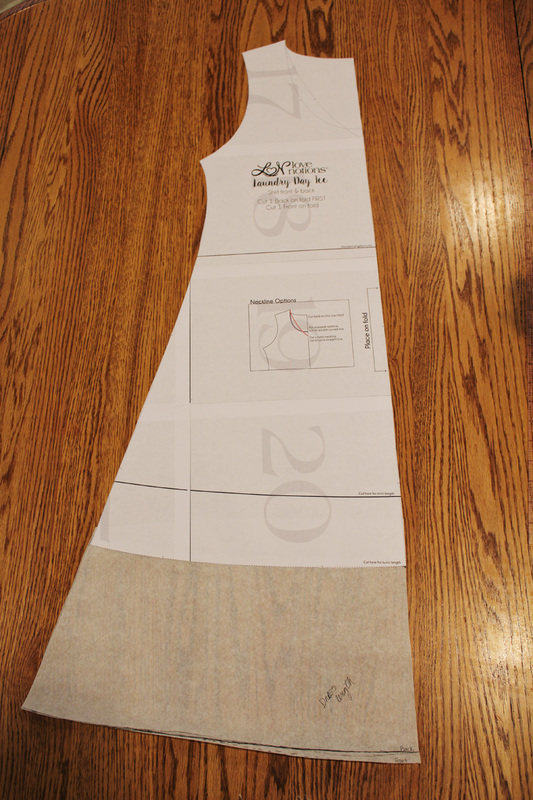 About how much fabric did you use for your dress? Thanks Heather! I’m not sure exactly how much fabric I used- I have the worst memory! 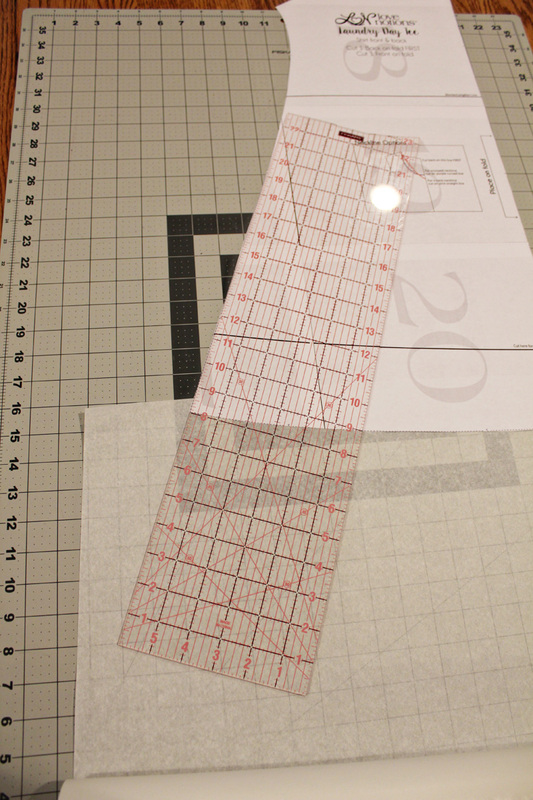 Since the pattern calls for 1.5yd and I just added 8 inches you should be good with 1 3/4yd. I can’t wait to see yours!